Having only quite recently found favour in the shops, it comes as quite a surprise that this variety was first introduced in 1966. 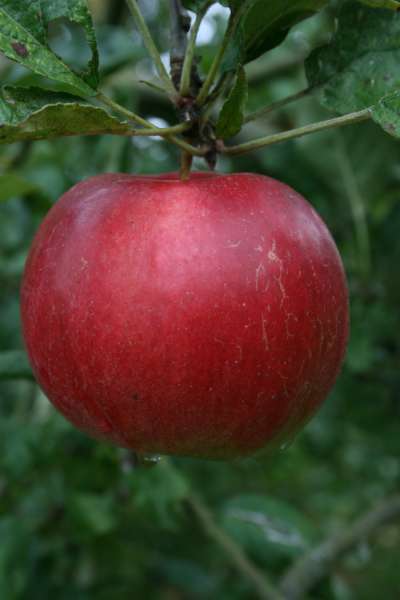 Well known for its flavour, sweet and crisp but with a subtle, almost floral character the bold regal red colouring and waxy bloom makes this a handsome apple which stores with ease well into the new year or even March. A heavy yield from a moderately vigorous tree, site in full sun for the best results.